AR REALTORS | US BUYERS ARE BUYING VICTORIA BC REAL ESTATE. Realtors...Are you talking to your clients about Canadian Real Estate? The Tide has turned. Few Canadians are heading south buying US Real Estate since the Canadian Dollar dropped to almost .75 cst to the US green back. With the low Canadian Dollar US home buyers are now Buying VICTORIA BC Real Estate . Our office has been seeing an increase in Americans Buying (and shopping for) real estate in Victoria, BC. This Wednesday I'm showing Homes and Townhouses to a couple from Southern California...Rents are high here. A nice townhouse rents for $1700 to $1900 pm and sells for less than $400,000. Mortgage rates are below 3% interest. You will need probably 25 to 30% down payment. The Dollar exchange rate is almost 30% savings for Victoria's Prime Real Estate. Talk to your clients, most of the American real estate buyers are not being referred by their Realtor. You could be missing out on some of commission pie. 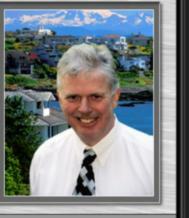 I pay a 25%(Canadian $$$) referral at completion to any Realtor for referring a buyer, buying real estate through me. The Average Price of a home here is plus or minus $600,000 Canadian, = about 25 to 30 percent less in US Dollars. say $450,000, how about a 2 million dollar waterfront home sale, you do the math savings.